York General Hearthstone is a US News and World Report Best Nursing Homes Recipient for 2016/2017 and 2017/2018. The Hearthstone’s environment is designed with two neighborhoods, each comprised of three “households”. The households accommodate 20 to 23 residents. Each has a country kitchen where meals are served and some of the facility’s activities are provided. 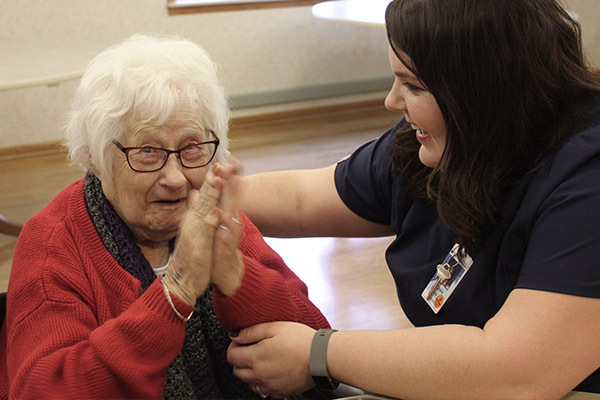 All staff have specific training in geriatric care and are well prepared to assure that residents’ health and care needs are met. 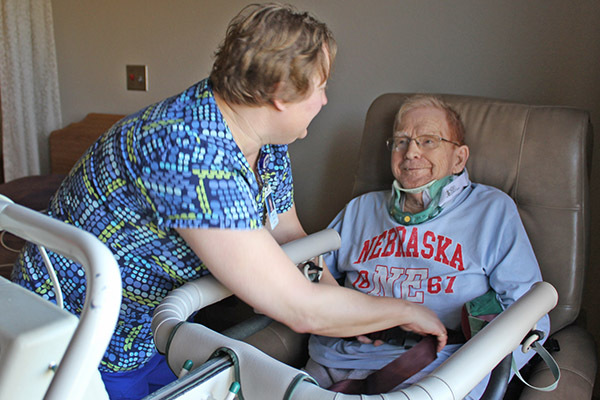 A local physician serves as Medical Director and provides review and oversight of the medical care at the Hearthstone. Area family physicians maintain regular schedules at the facility. Nursing staff, including registered nurses, licensed practical nurses, medication aides, and nursing assistants, are available 24-hours a day. 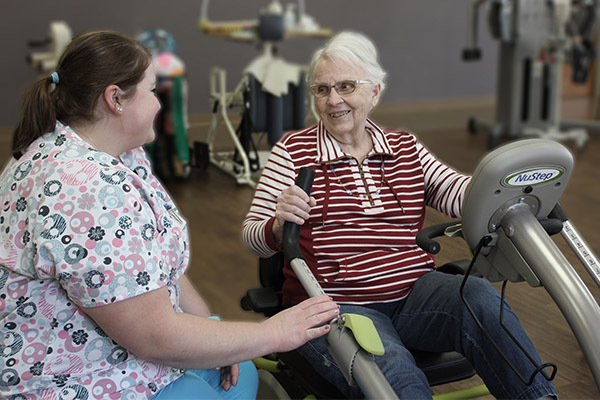 Physical, occupational, and speech therapists are available on site for residents. Activities promote physical, social, and emotional well-being and are tailored to individual needs. 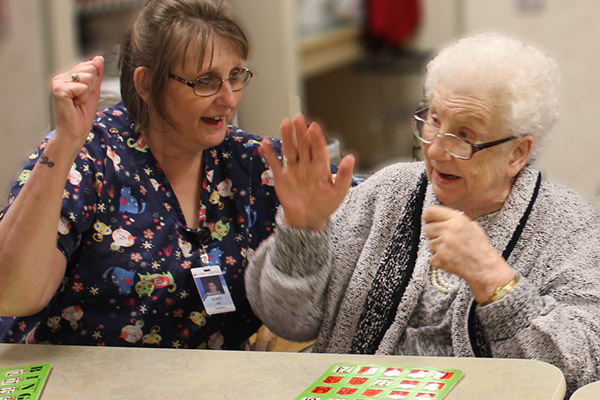 Activities offered at the Hearthstone include exercise, baking, card games, bingo, shopping trips, crafts, birthday parties, various entertainments and much more. In addition to indoor activities, when weather permits, households have access to patio areas and sidewalks for outdoor walks. 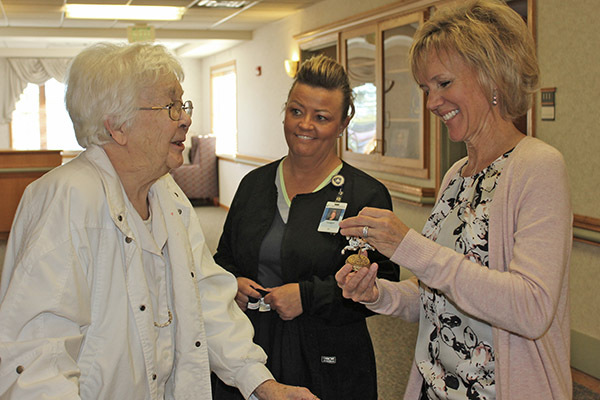 Families and friends are encouraged to utilize the family dining room and small parlors that are available for dining with residents or to share some Schwann’s ice cream in the ice cream parlor. For more information or to schedule a tour contact the Hearthstone Admissions Coordinator at 402-363-0240.